Marvel at the power and scale of The Kelpies, two spectacular statues that sit on the edge of Falkirk. The sculptures are of two horse heads, which loom an impressive 98 feet (30 meters) high and represent both Celtic mythology and Scotland’s horse-powered past. While visiting this impressive art installation, explore the rest of Helix Park, which features cycle paths, watersports and expansive parkland. Learn about the mythological beasts that inspired the sculptures on a tour of the site. Kelpies were creatures that possessed the strength of 100 horses, which inspired sculptor Andy Scott to create these monuments. Each horse head is made from 330 tons (300 tonnes) of steel, although the sculptures took only 90 days to build in 2013. Tours last for 30 minutes, shedding light on the story behind the now-iconic installation. Join one of these daily tours to go inside one the of the sculptures, where you can see the engineering up close. Book ahead to guarantee a spot on the tour. End your trip to The Kelpies at the visitor center, which sells merchandise featuring the famous horses. The center also has a café as well as exhibitions on the history of Falkirk and the surrounding area. After meeting The Kelpies, enjoy the other attractions in Helix Park. Bring your bike to the park and explore the 310 miles (500 kilometers) of cycle paths that are connected to the trails in Helix Park. Paddle out onto the park’s lagoon on a pedal-boat to enjoy the peaceful experience of drifting beneath The Kelpies. Canoeing and kayaking is also available during local school holiday months. A play area with fountains and water jets is popular with younger visitors to the park. Metered parking is available at The Kelpies, which are located directly next to a major road. Free parking is available at Falkirk Stadium, just a short walk away. Drive for about 45 minutes from Edinburgh or Glasgow to reach the site. When arranging your excursion, you might want to think about buying a Guided Full-Day Tour of Loch Lomond, Stirling & The Kelpies and a Stirling, Glasgow & Loch Lomond Glasgow Day Tour. Peruse our Grangemouth things to do page to learn about even more activities in the area. 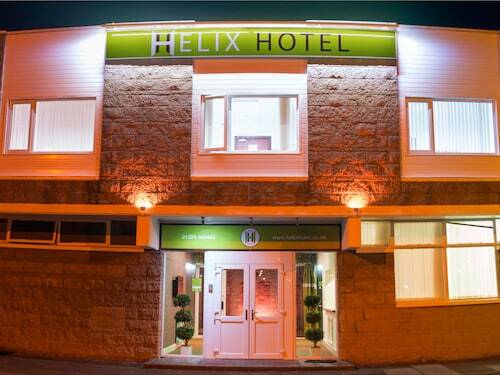 Situated in Grangemouth, this hotel is within 1 mi (2 km) of The Kelpies and The Helix. Callendar House is 2.3 mi (3.7 km) away. Situated in Falkirk, this spa hotel is 1.3 mi (2.1 km) from The Pineapple and within 6 mi (10 km) of The Helix and The Kelpies. Falkirk Wheel and Callendar House are also within 9 mi (15 km). Situated in the business district, this hotel is within 3 mi (5 km) of The Kelpies, The Helix, and Callendar House. Falkirk Golf Club and The Pineapple are also within 6 mi (10 km). Located in the heart of Falkirk, this apartment building is 1 mi (1.7 km) from The Helix and 3.1 mi (4.9 km) from Falkirk Wheel. Callendar House and The Kelpies are also within 2 mi (3 km). Falkirk Grahamston Station is 12 minutes by foot. 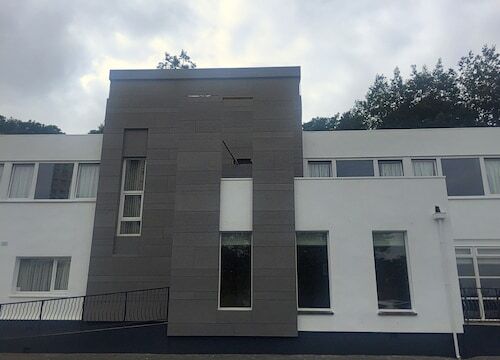 Situated in Falkirk, this spa apartment building is within 1 mi (2 km) of Callendar House and The Helix. The Kelpies and Falkirk Golf Club are also within 3 mi (5 km). Falkirk Grahamston Station is 12 minutes by foot. 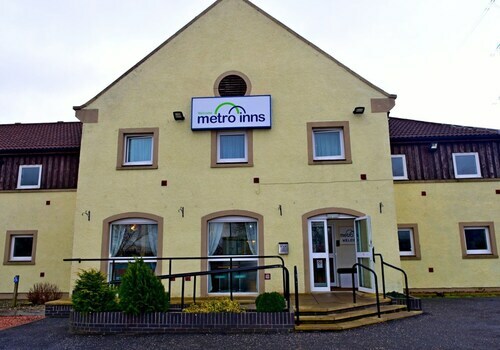 Located in the heart of Falkirk, this hotel is 0.6 mi (1 km) from Callendar House and 2.7 mi (4.4 km) from Falkirk Wheel. The Helix and Falkirk Golf Club are also within 2 mi (3 km). Falkirk Grahamston Station is 14 minutes by foot and Falkirk High Station is 17 minutes. Situated in Falkirk, this hotel is close to The Helix, Callendar House, and The Kelpies. Area attractions also include Falkirk Wheel and Muiravonside Country Park.